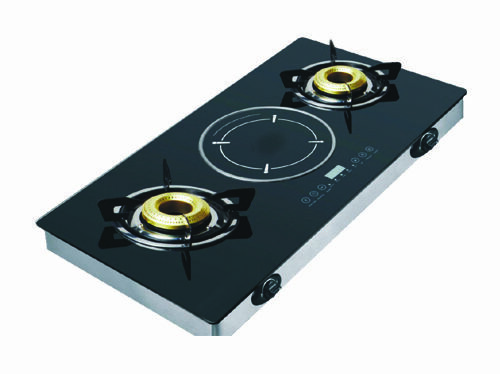 Padmini Hybrid Gas stove is equipped with 5 cooking functions and consists of 2 burners and 1 induction cooking system. It requires LPG connection and has 4 hours preset and 4 hours timer. It is extremely stylish and efficient. Gas burner output 90mm-50kw, 80mm-8kw Manual ignition.